So, the last few days have been quite stressful (for me at least!) as our first semester results were being released on the 23rd Feb (TODAY!!). I logged into the university server about an hour ago and am happy + relieved with my results 😀 It’s definitely given me the much-needed boast to get through the final lap now. I’ve got my first class test in two weeks’ time and definitely want to ace it. All courses have the option of 3 or 4 years, whereby 4 years includes a professional training year (PTY). To read more about my PTY experience, click here. Fun fact: Students with an undergraduate degree from Surrey University may be eligible for a 10% discount on our taught Masters programme fees. The university also offers postgraduate research with a PhD in Economics. First and foremost, the School of Economics at Surrey University is part of the Faculty of Arts and Social Sciences and has been gaining recognition and steadily moving upwards on league tables. Currently, the School of Economics is ranked 5th in the 2016 National Student Survey and ranked 11th in the Times and Sunday Times University Guide 2017. This is one of the main reasons which drew my attention towards Surrey University way back in 2012 when I was applying through UCAS. 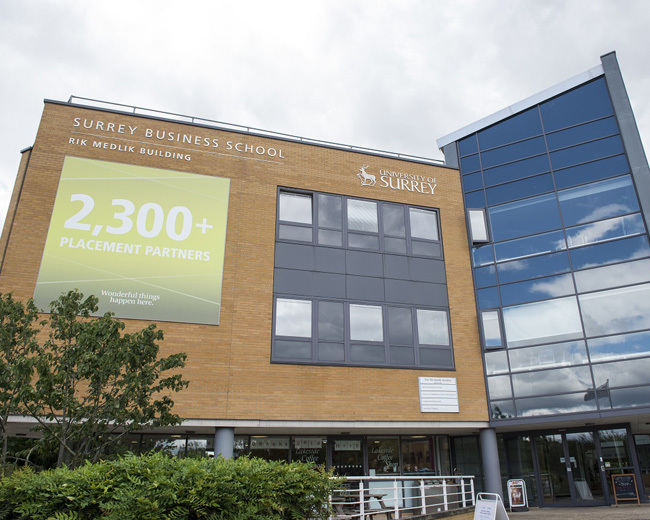 The University’s amazing track-record for professional training year was another huge reason for choosing to study at Surrey. As everyone knows, it’s getting tougher each year to obtain graduate jobs after leaving university. I felt that completing a PTY would provide me with an added advantage especially as employers do appreciate graduates with professional working experience. The School of Economics offers its students the opportunity to spend the second year of their undergraduate programme at one of our four partner universities abroad. It was something that I seriously considered and sometimes wish I had taken this amazing opportunity. I have friends who spent their second year at the University of Hong Kong as well as the Singapore Management University: they both had amazing stories to share about their experience studying abroad. It should be noted however that the grades obtained from the second year abroad do not contribute towards your degree qualification. Usually, the second year has a weightage of 35% whilst the remaining weightage comes from the final year. In the case of a year abroad, the entire weightage of 100% would be taken from only your final year of the Economics programme. All students in the School of Economics are assigned a personal tutor during their duration of study. Students are requested to have a meeting with their respective personal tutor once every semester. It is a chance for students to discuss their academic development and progress with an Economics professor. I have found this very helpful throughout my years at Surrey as my personal tutor has been part of my support system. She has provided advice in terms of the PTY application process, keeping in touch with in progress throughout as well as provided guidance when selecting my optional module choices for final year. This was very insightful because being a lecturer within the School of Economics allows my personal tutor to provide tailored advice. In terms of the Economics programme structure, all programmes operate on a 15 credit modular structure over two semesters: meaning getting a grade of at least 40% (which is a pass) earns 15 credits. Year 1 and 2 at the School of Economics comprises of eight compulsory modules per year taught over two semesters. These modules aim to provide a strong foundation for students before embarking on either on a PTY or continuing to Year 3. I must admit that the freedom of selecting our own modules in Year 3 has been quite stressful. It makes me feel like I’m in charge of my studies and the grades I obtain which can be quite daunting. But after surviving of the first semester of final year, I am glad that we have the option of selecting modules apart for 1 compulsory module per semester. I took a wide range of modules in the previous semester which included essays, something I had not done since A-Level Economics. It’s has been very beneficial because by this point, I have some idea as to where my career is possibly headed as well as which modules I would like to get in-depth knowledge in. 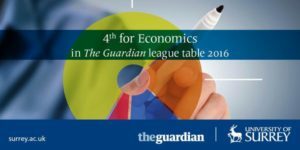 For the Economics programmes, students have the option to complete an Economics Project during their final year at University. It’s an opportunity for students to use the knowledge and tools gained throughout the first two years and produce a piece of work that they would be proud of. Employers also appreciate graduates who have completed an Economics Project as it shows students who have gone the extra mile in terms of their degree. Side note: In May 2016, the University agreed that we should pilot the use of a GPA for all new level 4 (first year) entrants in 2016-17. To read more about the introduction of Grade Point Average at Surrey University, click here. In terms of assessments, it takes place through a combination of examinations, coursework and projects. The coursework is usually comprised of class tests held during the semester amounting to 30% and the remainder of the marks is obtained in the final examination at the end of the semester. Some modules are exceptions however such as the Economic Data Analysis in Year 1 which is comprised of 100% coursework and the Energy Economics module in Year 3 which includes a 5000-word essay worth 50% of the module. Students can be elected to become course reps within the Economics department. It’s an opportunity to gain new skills and develop existing skills such as effective communication, negotiation, organisation and much more. Course reps are the middle people between students and the department and play an important role as the feedback they provide is used to make positive changes within courses and improves overall student experience. I have loved being part of the School of Economics and feel that my development and progress has always been prioritised. Throughout my years here and especially now in my final year, my lecturers have been more than happy to provide support and guidance whenever particular lecture material was unclear. Lecturers hold office hours during term time which is time dedicated to students who can drop-in with questions regarding module material, assessments and examinations. I’ve spent a fair amount of time every week visiting lecturers during their office hours and never once have I been turned away even if it’s taken longer than the usual 15 minutes’ time slot. Lecturers usually also hold revision lectures at the end of each semester before the examinations. Anyways, that’s all for now 🙂 Feel free to comment on the post below, drop us an email at Malaysia@surrey.ac.uk or send us a message at our Facebook page!